The apparent increase in food allergy prevalence has led to a surge in the amount of clinical and basic science research dedicated to the field. 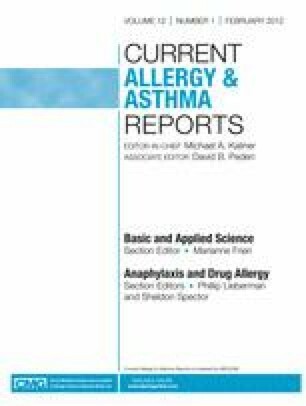 At the current time, allergen avoidance remains the cornerstone of treatment; however, recent clinical trials investigating various forms of immunotherapy have opened doors to the possible future application of an active treatment strategy in everyday practice. In addition, improvements in molecular biology have allowed researchers to purify, clone, and modify allergens, thus laying the groundwork for research on vaccines using modified proteins of decreased allergenicity. Finally, various allergen-nonspecific immunomodulatory therapies are also being investigated as a means to alter the immune response to food allergens. With these emerging therapeutic strategies, it is hoped that practitioners will have options in caring for their food-allergic patients in the near future.